The iconic roasted “Sunday Chicken”, there is little that tastes better than a savoury piece of chicken with crispy skin and spices. When served with some potatoes and a vegetables, you have a meal that is satisfying and delicious. 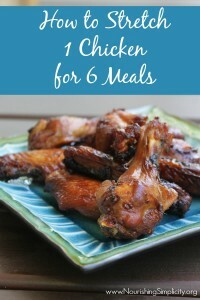 With prices that high per chicken many of us can’t afford to have a chicken last for just one or two meals. 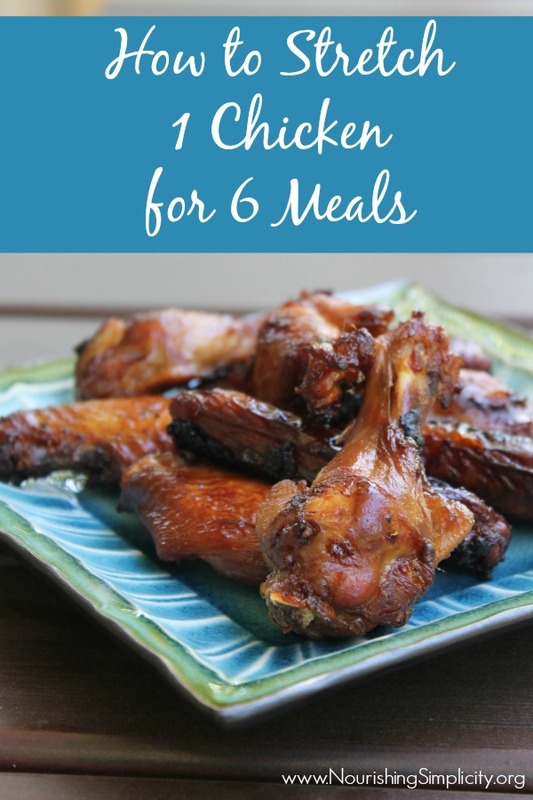 We need ways to make the chicken stretch for a few extra meals. 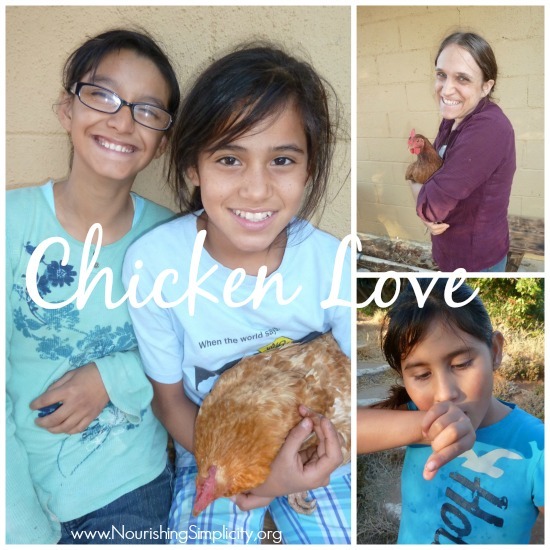 Over the years I have learned to get the most I can out of my chickens. These suggestions are for made with a family of four in mind. Every family is a different, so feel free to take these suggestions and run with them! As glad as I am that I know how to stretch 1 chicken for 6 meals there are times when I have served the whole bird and just made soup with the leftovers. There’s no shame in throughly enjoying a whole bird now and again. I love to make roasted chicken. It is one of the easiest “fancy” dishes to learn to fix. It is sure to impress and oh so tasty! Cut off the legs and thighs to feed your family that night. Leave the rest of the chicken on the counter so no one is tempted to gobble up the whole thing. To help everyone feel like they aren’t having a filling meal serve the chicken with a couple tasty sides like mashed potatoes, rice pilaf, roasted vegetables or fresh soaked whole wheat bread. I am a huge fan of chicken wings. They aren’t always easy to find so when I am prepping a chicken to roast I normally cut off the wings and place them in a freezer bag. Once I save enough wings for a meal I pull the bag out and make my favourite teriyaki wings. Cut off the breast meat. Slice into bite size pieces. You can add to yellow curry, Thai Curry Noodle Soup, or a stir-fry. Sometimes I will cut off the breasts before I roast the chicken and save them to make a “Chick-fil-A” nuggets or a tandoori chicken sandwich. Pick any other meat left on the bones to save for meal #6. There are few things better for you than bone broth. I like to use my bones to make batches of broth. For added flavour and nutrition I like to add one or two chicken feet when I have them on hand. The first broth tends to be more rich and savoury. I’ll use it for soups where the broth is the star like Nourishing Thai Noodle Soup or Knefla (German Dumpling Stew). My second batch or broth is used to for soups where many other ingredients are added such as my green tortilla soup, roasted tomato tortilla soup or to make rice pilaf. The giblets are what my Grandma Burnett always went for. When I was little I thought she was crazy. Looking back I see what a smart woman she actually was. I like to set the “offal” as it is also called aside to make crazy good for you broth. I add chicken feet to the broth as well. Like my second batch of bone broth I tend to use giblet broth for making rice and soups with lots of add ins. Don’t throw the offal away, set it aside for a nutritious boost to another meal. Simmer for up to 24 hours. Strain the broth throw a fine mesh strainer or a cloth. Disarcd the bones and set the giblets aside for another meal. I like to use the offal left from making the giblet broth mixed into soups like chile or chopped up in meatloaf or meat balls. There is so little that it is impossible to detect it. 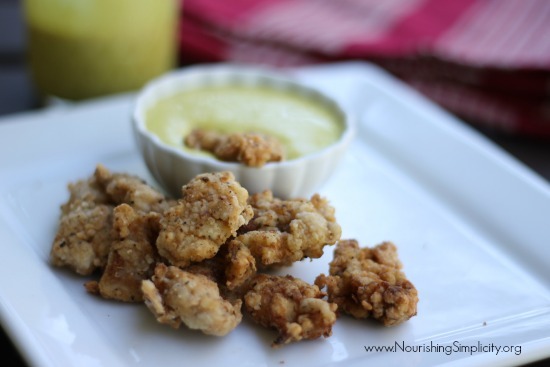 You get the nourishing benefits from the offal and you aren’t letting them go to waste! Another perk to having your own chickens is that you get to take awesome pictures like these! What are you best tips for stretching a chicken for more than one meal?